Developer Arika worked on the Everblue series of scuba diving games on Playstation 2, where you could explore and learn about the creatures living under the sea. Nintendo and Arika worked together to bring the series to the Wii under a new name: Forever Blue. 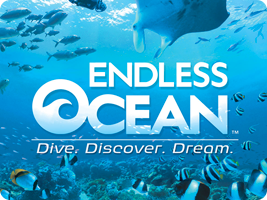 This was localised in the English versions to Endless Ocean.